FlavourSys, an independent software company delivering products designed to improve the day-to-day workflow of any content production facility, today announced that the latest version of their Production Asset Management (PAM) tool Strawberry (v. 5.4) now offers more seamless integration than ever into the video tools of Adobe® Creative Cloud®, which includes the entire collection of Adobe desktop and mobile apps. Many broadcast and video production facilities around the globe have been benefitting from Strawberry’s excellent search, storage organization, and project sharing functionality. While Strawberry is platform independent and works with all major editing and motion graphics applications, the deep integration with Adobe Premiere® Pro CC and Adobe After Effects® CC set this workflow apart from others in the market. Strawberry’s new Communications System simplifies interaction between users, keeping creative teams up to date about their Strawberry-managed projects, assets and workflow tasks. Users can subscribe to notification alerts with the click of a button or by using the auto-subscribe feature. Users can also receive alerts about their projects and assets to tailored news feeds. The Global Event Log saves every single user-content-interaction, allowing admins to regularly review who has done what. “Flavoursys has a history of solid integration with Adobe Creative Cloud applications.” says Sue Skidmore, head of partner relations for Adobe. "They continue to raise the bar and delight our customers with this latest release of the Strawberry panel". The intuitive Strawberry Panel Extension for Premiere Pro CC and After Effects CC allows editors or VFX artists to stay within their applications, importing high-res files with the click of a button and browsing through content on the shared storage. Strawberry provides scrubbable proxy previews of all the content in its organized project structure. These can also be viewed from a web browser for the broader team. 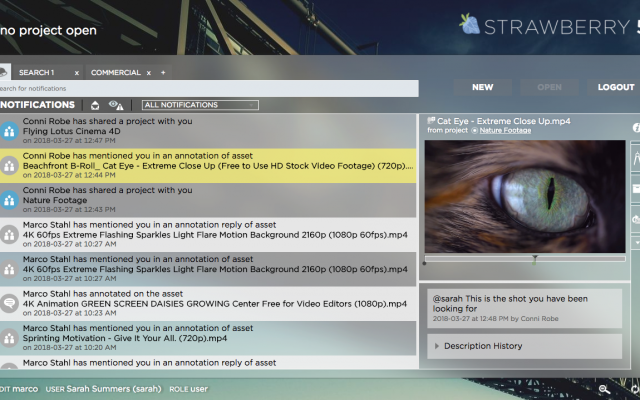 The Strawberry Contextual Search functionality enables editors to find assets based on their project context. 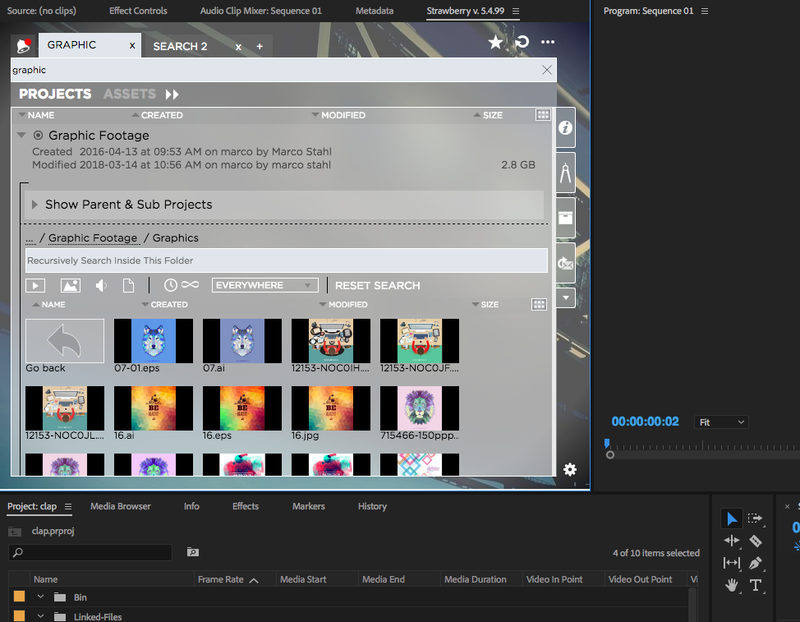 Instead of tagging every raw file, project metadata helps users find their footage and see other relevant content. It also displays layer-by-layer previews of Adobe Illustrator® CC and Adobe Photoshop® CC files. Just scrub through the layers in the Strawberry proxy. This saves time and ensures editors pick the precise graphic that they need. Additionally, through the XMP Metadata Synchronization and marker extraction in Strawberry, valuable commentary and metadata held in Premiere Pro CC is automatically turned into search criteria. Customer or producer feedback automatically shows up in the editing timeline as a marker. Strawberry fully supports the Adobe Team Projects to enhance team collaboration, as well as the newly released Project Locking feature in Premiere Pro CC. 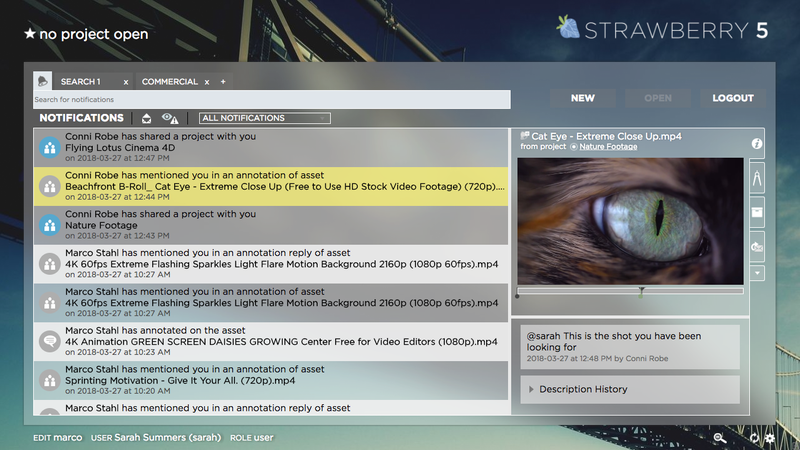 Strawberry’s Project Mounts and storage management tools ensure that the media is instantly available to all of the contributors in a Team Project. 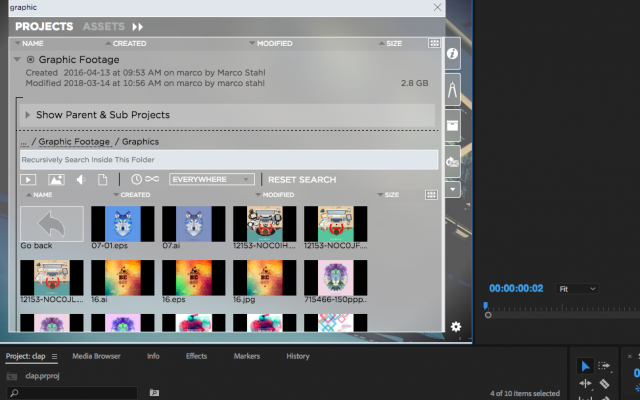 “Strawberry has been setting the standard for integration with the Adobe Creative Cloud for years, and Strawberry’s project-based media management makes even more sense in the context of Team Projects. The new Communications System builds onto this, making collaboration even easier,” adds Derek Barrilleaux, CEO at FlavourSys.